There are a multitude of ways an organization can serve it's customers. Come and meet the people we work with. You can select Ink Release as your Rewards Card supported charity, and it doesn't cost you a thing! Fred Meyer will cover it. Nonprofits fill an important void in society. They pick up where business leaves off, providing needed goods and services. We’re glad you’re here, and we invite you to explore our company and our mission to help turn potential job-seekers who are struggling with problematic, career-limiting tattoos into viable, work-ready candidates. We are a facilitator, meaning we will pre-qualify the client and connect them with a local tattoo removal clinic that will do the work. Eventually, once funding goals are met, we will add an in-house clinic of our own to keep the client and the work close to us. Our mode of assistance lies mainly in the removal of troublesome tattoos, but additionally we strive to inspire members of our community to explore the virtues and personal rewards inherent to philanthropy, and we help those who thought they would be unable to participate in philanthropic efforts to see that there are many ways to participate, including several that incur no cost to themselves. If you’ve been looking for a way to share your good fortune and hard work with the community, in a way that’s measurable and accountable (and tax-deductible), let us show you what we’re up to, and how we’re working to improve our region and the lives of its people every day. 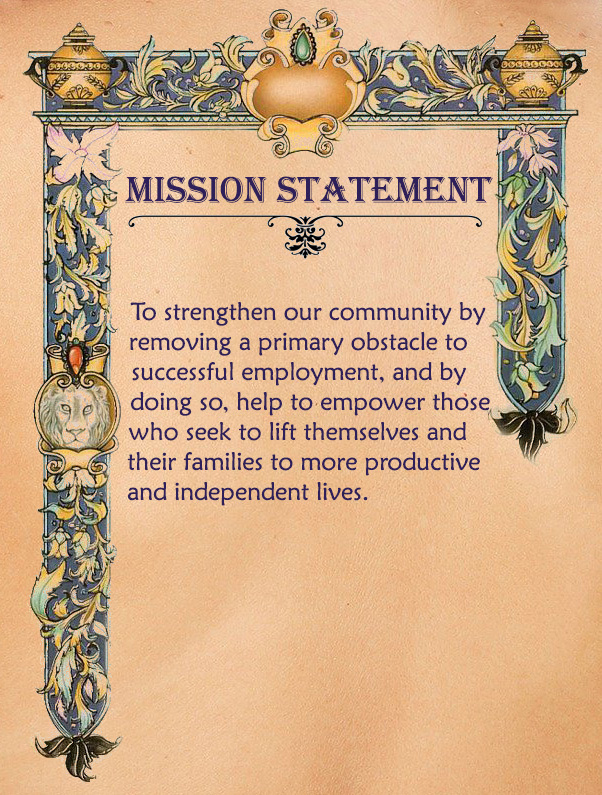 Our Mission Statement defines our core purpose and focus, and serves as a reminder of where that focus should be. Our customers include our donors, volunteers, and tattoo removal clients as well. Learn more about our commitment to all three. Our philosophies run a wide range between community and the individual. Find out more about our thought process. Our team is what makes us who we are. Learn what motivates our people to serve, and what keeps us focused on our daily mission.